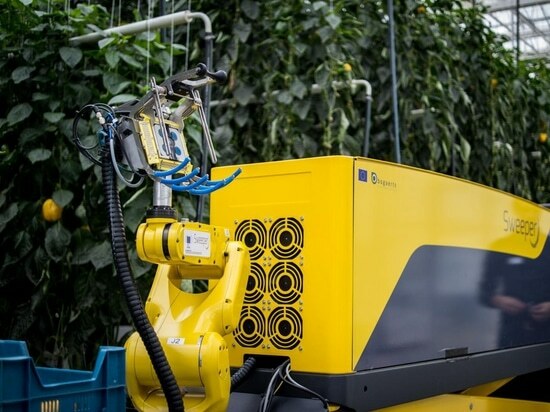 The world’s most advanced sweet pepper harvesting robot, developed by a consortium that includes Ben-Gurion University of the Negev (BGU) researchers, was introduced at the Research Station for Vegetable Production at St. Katelijne Waver in Belgium. The robot is called Sweeper and is designed to operate in a single-stem row cropping system, with non-clustered fruits and little leaf occlusion. Preliminary test results showed that by using a commercially available crop modified to mimic the required conditions, the robot currently harvests ripe fruit in 24 seconds with a success rate of 62%. The BGU team spearheaded efforts to improve the robot’s ability to detect ripe produce using computer vision, and has played a role in defining the specifications of the robot’s hardware and software interfaces, focusing on supervisory control activities.Additional research is needed to increase the robot’s work speed to reach a higher harvest success rate. 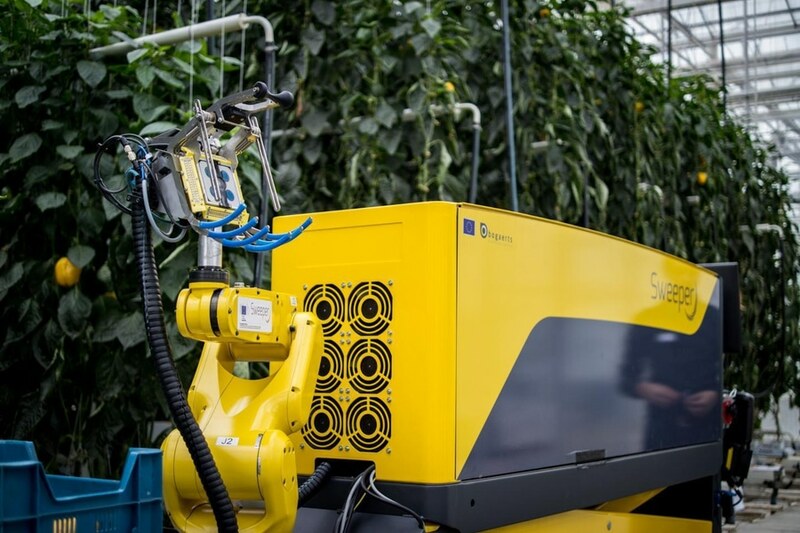 Based upon the latest results, the Sweeper consortium expects that a commercial sweet pepper harvesting robot will be available within four to five years, and that the technology could be adapted for harvesting other crops. North America is the second-largest producer of sweet (bell) and chilli peppers in the world, with a 31% market share. In 2017 Europe accounted for more than half the world’s pepper supply (53.2%) with exports valued at $ 2.7bn.